I’m pretty lucky. I got married at 18, so I never had to go through the whole adult dating thing. But that doesn’t stop me from trying to give my friends advice about their online dating profiles. These statements sound perfectly normal. In fact, they sound like great things to say on a dating profile — until you realize that it’s the exact same thing on every single profile. Tip: When you’re the same as everyone else, you’re dead. It doesn’t matter what you’re trying to do. Whether you’re trying to find your next love on 'Plenty of Fish' or trying to grow your real estate business. When you’re the same, you might as well not even exist. When you’re the same, you’re forced to compete on price, beg for listings, and worry about where your next listing is going to come from. If you want to grow your business and create a business that fits in with your lifestyle, then you have to get out of being the same as everyone else. There are a lot of ways that agents make themselves like every other agent — their offerings, scripts, web design, and more. Lately, the number one area where a huge amount of agents have been copying each other is through content marketing and SEO. 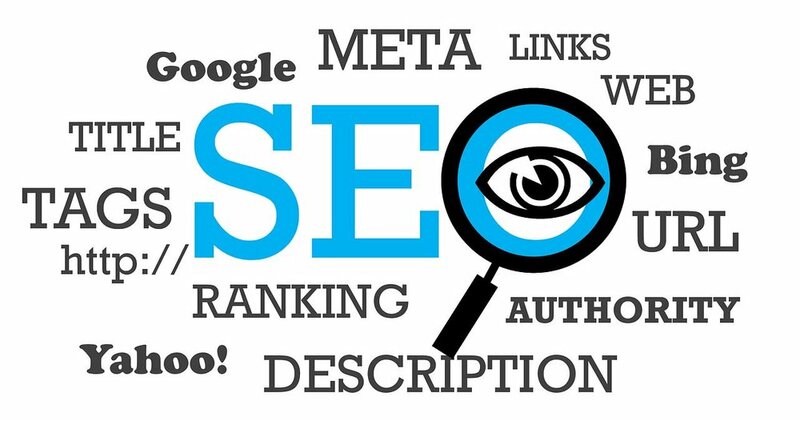 In this article I’m going to share with you how to build a powerful real estate SEO strategy. These are the strategies I’ve used to separate myself from the competition so that I could experience higher conversion rates, better leads, and better profitability. You’re going to learn how to produce better results in every area of your business than 99% of other agents. The real reason that most agents fail in real estate may surprise you. Do you think you can guess it? It’s not because of poor time management. It’s not because they fail to set goals, being lazy or failing to promote themselves. It’s because they’re no different than their competition — at least in the eyes of the client — between you and the real estate agent down the hall who always seems to have an old mustard stain on every single shirt that he owns. To break from the pack you’ll need to create a different marketing message, find new channels to promote yourself in, and create different offerings. In the case of SEO, you’re going to have to produce better content and get different links. This is where my strategy of failing to tack to cover comes in. I’ve used this strategy to win in every area of my life. “Tacking to cover” is an idea that is familiar to sailors. When trying to sail upwind, you have to zigzag since you can’t travel directly upwind. In a competitive race where you’re not in first and you have to travel upwind, you have to make a choice. When you tack to cover, you’re assuming you’ll face the exact same conditions — wind speed, waves, and other factors — as the lead boat. Tacking to cover is used when the skill of your crew is better than the lead boats. It’s a great strategy if you’re confident that you can beat your competition based on skill. In real estate, an example would be cold calling. Every agent uses cold calling, especially for expired listings. If you’re confident that you’re better than the agents that are cold calling, then doing what every agent is doing will be a good strategy. In SEO terms, if you’re confident that you can produce better content on the same topics in the same format, then tack to cover is a great strategy. But most of the time, tacking to cover is a terrible strategy. That’s because top producing agents have far better resources and skills. For me, I knew I wasn’t going to win by doing the same lead generation strategies as a majority of agents. I knew I wasn’t going to win by creating the same content marketing strategy as every other agent. I’m a college dropout and I’ve had a stuttering problem ever since I could speak. Everyone: You have to spend your time cold calling. Here is a script that will work for you. Me: Cold call? Don’t you know I s-s-stutter? Forget that. I’m going to build one of the most powerful content marketing strategies that sets my company as the definitive source for all things real estate. Everyone: Send postcards to your farmed area about “just sold” and “just listed”. Me: No way. I’m going to send a ten page sales letter that is full of a ton of value with an offer for a guide so that I can build my email list and begin marketing to them through cheaper channels. Ultimately, they want you to be the same as everyone else - vanilla. Most agents are told they need to produce the content that is popular on BuzzSumo. They need to promote their content on social media and build backlinks on other real estate agent’s sites. The problem is that you’re just going to blend in. If you really want to start producing results from your SEO and content efforts, then you have to be different. Let’s dive into the nuts and bolts of building a powerful SEO strategy that will help you dominate. I’m going to cover both steps and point out areas where you can be different than the 99% of other agents who are producing content and building links. If you want to rank in the search engines, you have to understand Google’s goal. Google wants to make sure they’re delivering high-quality and unique content to searchers. Most agents fail to produce unique content and fail to produce quality content. Instead, they hop on over to BuzzSumo, find popular content, copy and paste it, then rewrite the content in their own words. This content is original. While it may be considered original to the search engines, it’s not to your audience. Go to any real estate agent’s website. What do you see on 90% of them? The same exact content with the same viewpoints and bullet points. I can’t tell you the number of articles that I’ve seen that look exactly like an article that was written by Kyle Hiscock or articles that were written by Ryan Fitzgerald. A majority of agents are writing content that is exactly the same without any consideration for their audience. For example, do you think someone who is selling luxury real estate needs the same advice as someone selling a $100,000 home. You can read any article about selling a home with kids and most of them will tell you to get the kids involved in preparing the home. Not me. That’s because this advice is terrible. Whoever decided to write it obviously never tried to sell a home with kids. It’s like the paediatrician who said you need to limit your kids “screen time”. They obviously never had to raise kids, work a full-time job, and do everything else. I knew this was terrible advice because I talked to a ton of parents. They all told me that it’s impossible to get the kids involved. They said they could barely get them to do chores on a regular basis and it was a losing battle to even try when selling the home. Talking to your customers and learning their viewpoints. Find what’s popular and make it better. This doesn’t have to be anything crazy. You’re probably already talking to your customers on a regular basis. Note the things they say. What do they complain about? What do they say they hope for? One way we do this at Mocha Homes, a Lansing real estate team, is by collecting feedback through surveys. After we sell a home, we ask our clients to take a quick survey. One question we ask is, “What was the hardest part about selling your home?” This question gives us insights into our market that we didn’t know about. Most agents prefer to skip this. They try to find the single piece of content that they can produce that will push them into the #1 spot in the search engines. They ask themselves the wrong questions. Good content starts with understanding your customers. It starts with giving, not selling. It means disagreeing with your best interests. When was the last time you saw an article on a real estate agent’s blog about how to negotiate a lower commission rate? That’s because that article goes against the best interest of an agent — make as much money per transaction as possible. But when you write content like this, it sets yourself apart. You begin standing out from your competitors and your clients notice you. All of sudden people are trying to copy your content. Really this is the only way to build a long-term business. Start creating content that takes a different perspective. This one is similar to a strategy that I learned from Brian Dean at Backlinko. He calls it his skyscraper technique. Instead of writing articles, he took a lot of the same content and made it better by producing infographics. He has made some of the best and most used infographics in the real estate industry. Once you have content that is unique and high-quality, you can begin building links to your content to help your SEO. Over the course of talking with a ton of agents, I learned that most of them believe the best way to build a strong SEO strategy is by promoting your content on SEO. While this does play a role in your ability to rank in the search engines, there are far more important factors, like link building. Link building is the second most important factor in local search results, only behind on-page signals. So, you need to begin build backlinks. There are two factors that will determine the value of the backlink and how likely it is to help your website. The two factors are relevancy and authority. We can create a simple quadrant that will help us determine which sites to build backlinks on. Quadrant I, high relevance and high authority are going to be the best sites to gain links from. That’s why your link building strategy should be about getting links from sites that are either low in authority, but high in relevance or high in authority, but low relevance. Most agents will go after only links that are relevant — other real estate blogs. Top real estate bloggers are constantly pitched. Reaching out and getting a backlink from other real estate agents should be part of your strategy, but shouldn’t be your entire strategy. In fact, it’s kind of a lazy way to build links. Instead, build links on high authoritative sites that seem irrelevant. None of your competitors are doing this. I know because I’ve checked. For a real estate agent, you could look at gardening sites. Could you write an article that is about “How to find a home with the best garden?” Or “How to move your garden with you in your new home?” All really good topics. SUBJECT LINE: I'd Love to Write for Your Site! If you're still accepting posts, please let me know and I can put together a draft for your approval. To have real success in real estate, you need to take a different approach than most agents. The industry is too competitive to try to go head-to-head with every other agent. If you fall into the trap of being a commodity, you’ll have to compete on price. You won’t be able to build the business that you want. One way agents can stand out is by creating a better content marketing and SEO strategy. You can do that by creating unique content that your customer cares about and is better than your competitors. Then, build backlinks to your content through guest posts or other link building strategies. If you’re looking for somewhere to guest post and build links, then send me an email to get your real estate SEO strategy started!